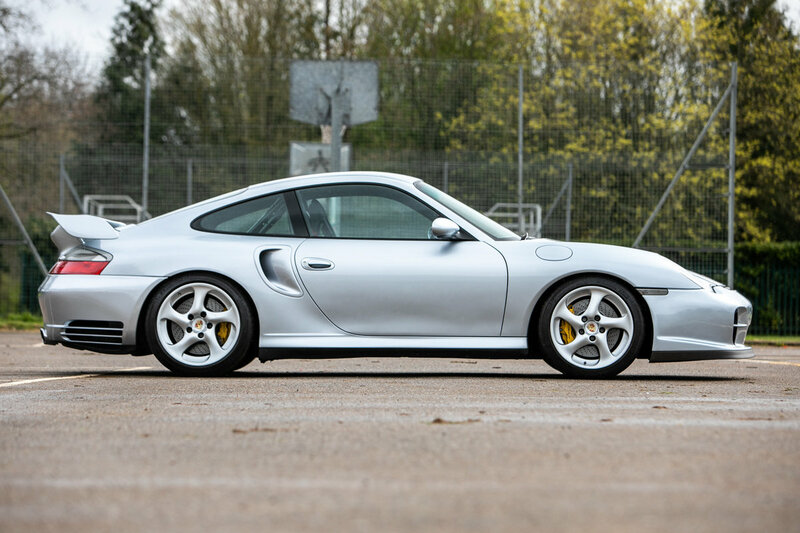 One of only 17 UK RHD GT2 'Clubsport' examples. To be sold by Silverstone Auctions at ‘The Hethrop Classic Car Sale’ at 12:30pm on Saturday 11th May 2019 at Heythrop Park near Chipping Norton (OX7 5UF). 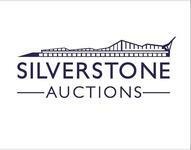 For more information please contact classic car specialist Joe Watts 00 44 (0) 7779 082707. 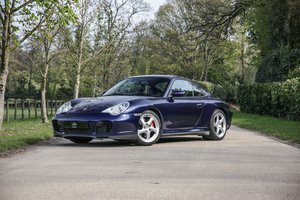 For the model year 2001, Porsche launched their most extreme version of 911 (996), the GT2, with no less than 462bhp. This was an ultra-high-performance model produced both for the racetrack and for the road and was only ever equipped with a 6-speed manual gearbox and rear-wheel drive. 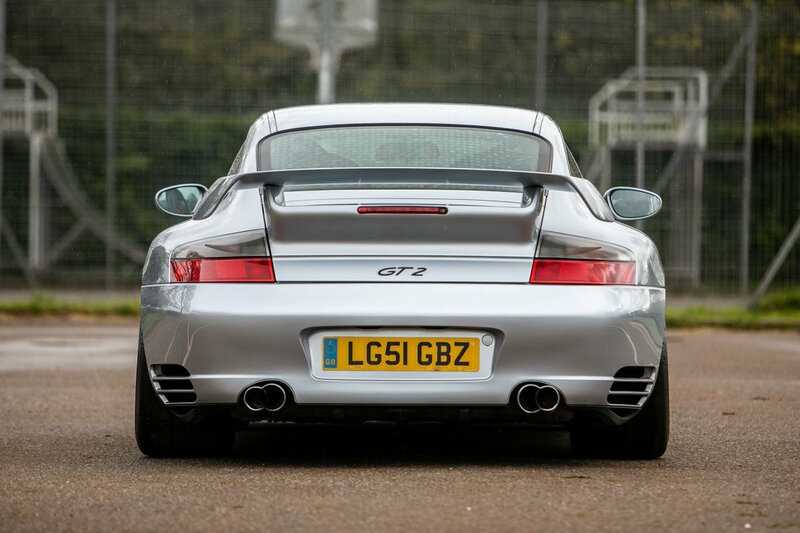 The GT2 was based on the 996 Turbo, utilising its new 3.6-litre twin-turbo engine, which was directly derived from Porsche’s GT1 race car, incorporating many parts that were tried and tested in long-distance racing, giving Porsche its double victory at Le Mans. 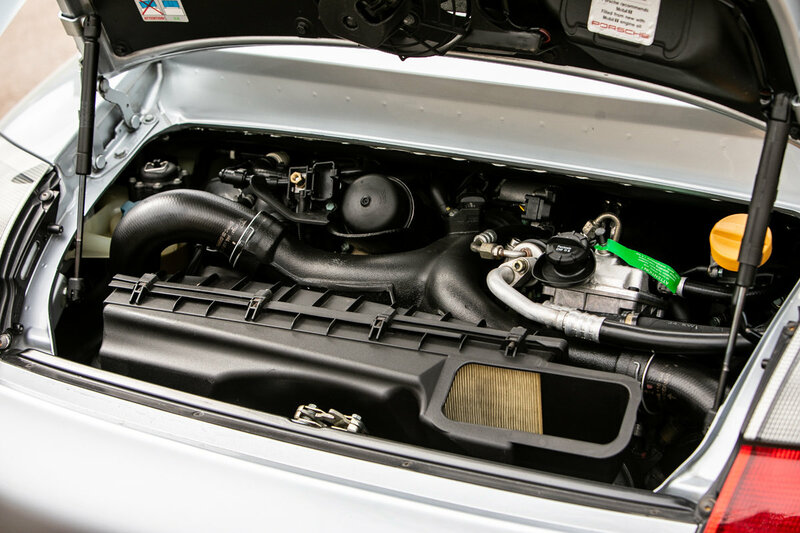 The engine fitted to the GT2 (designation M96/70 S) utilised the newly introduced ‘Variocam Plus’ system but had 10% more power than the Turbo, which was achieved by fitting more potent turbochargers, a modified exhaust system and adapted engine electronics. The GT2 also made use of a race-derived gearbox, which was reworked and fitted with the lubrication system of the GT3 RS, plus the addition of a friction-plate limited-slip differential tuned to match the car’s ultra-stiff suspension which was 20mm lower than the Turbo to achieve a lowered centre of gravity. Coupled with aluminium monobloc ‘Turbo Design’ wheels, a larger 89-litre fuel tank, and completely new front panelling to reduce aerodynamic front-lift at high speeds and increase air intake, the GT2 really was a race-car for the road. Naturally, performance was electrifying with a 0-62mph time of just 4.1 seconds and a top speed of 195mph. 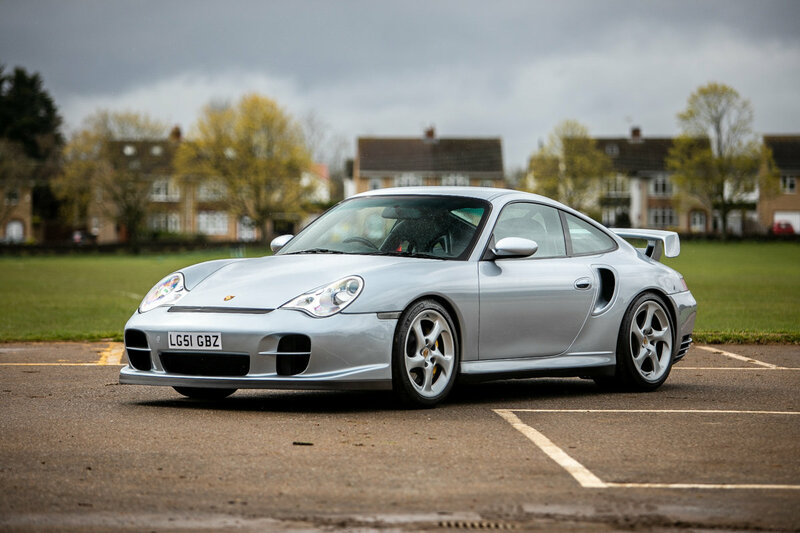 The car presented here is a UK-supplied (C16) 2001 Porsche 911 (996) GT2 ‘Clubsport’. This spec was aimed at motorsport enthusiasts, with the main distinguishing features being a roll-cage bolted directly on to the body (supported by the rear suspension struts), race-style seats, a six-point harness for the driver’s seat, fire extinguisher, battery main switch, and no POSIP side airbags. The car has covered a wholly verifiable 56,738 miles with, effectively, just two previous keepers (HPI states it to be three; however, this is the original owner, then his business and then one other). 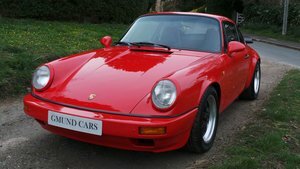 This special car is accompanied by an impressive history file which contains both the handwritten order form and the sales invoice from AFN Porsche on London's Park Lane. They state that the options chosen when new were special paint, carbon package, leather console, carbon rear console, leather sport steering wheel and leather steering column casing, front floor mats, leather interior light, carbon door entrance panels, aluminium dials, carbon gearshift and handbrake, top-tint windscreen, centre console, Becker radio/CD, Club Sport package, leather bucket seats, coloured wheel centres, passenger six-point harness, and security glass covering. The total of the two-page invoice was a generous £131,710. Ordered new by a businessman and gentleman racer who raced a modern 911 GT2-R and, despite having his own workshop to maintain his racing car, he entrusted the supplying dealer's Reading workshops to maintain the car for the first four annual services, and Porsche Hatfield for the 2006 and 2007 services. Thereafter, he had the car maintained in his own workshop and transferred the registration into the name of his racing team in March 2013. As well as the aforementioned invoices, the history file also contains numerous maintenance invoices, many older MOT Certificates, and the handbook pack. The previous owner bought the car in 2016 to join his small collection of Ferrari and Mercedes, however, his expanding restaurant business has dictated that the car was little used, being last serviced under his custodianship at 55,628 miles. Sadly, unforeseen circumstances mean that the car’s current owner, our vendor, who is also a private collector of special cars, must now thin-out his assortment. Regardless of usage (the car has only covered just over 1,000 miles in the last 3 years) he too has ensured the continuation of the car’s superb maintenance record by having it serviced at Porsche Centre Bristol in April 2019. 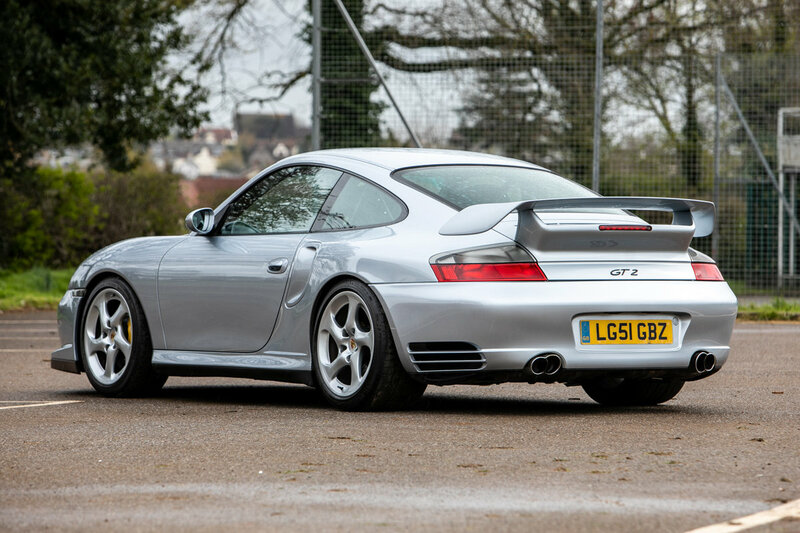 There were only ever 1,287 996 GT2s produced worldwide, with less than 70 of these being in Clubsport (M003) spec. 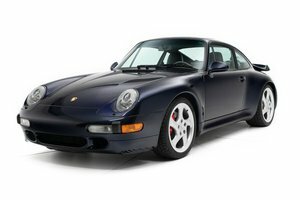 This is a very special, capable and rare car - just think how highly revered 993 GT2s and 911 3.2 Clubsports have now become.